We’re finally coming out of the drought for new music that accompanies the winter holidays, and heading into the season where the releases of highly-anticipated new music will be coming at us hard and heavy. In preparation, Saving Country Music’s official Top 25 Current Playlist has been provisioned with some new selections to get you through these frigid months. Leading the charge is a new song from the underground roots band The Urban Pioneers. Their song “Fast Money” might be their most infectious yet, and debuts right near the top of the playlist. Josh Grider just released a new video for his song “Good People,” and to coincide with the release (and since it’s such a great song), it’s been added to the playlist as well. A few songs released later in 2017 also have been added, including the standalone “One Love Song” from Michaela Anne, which hopefully will be the precursor to a new record in 2018. Emily Herring‘s heartbreaking honky tonk foot stomper “Last of the Houston Honky Tonk Heroes” feels like it was custom made for a Saving Country Music playlist. And flying criminally under-the-radar is a band called Yellow Feather that has a little Kristofferson blood within it’s ranks, and the pedigree holds true on the song “If You Ain’t Cheatin’” from their late 2017 record, And Gold. 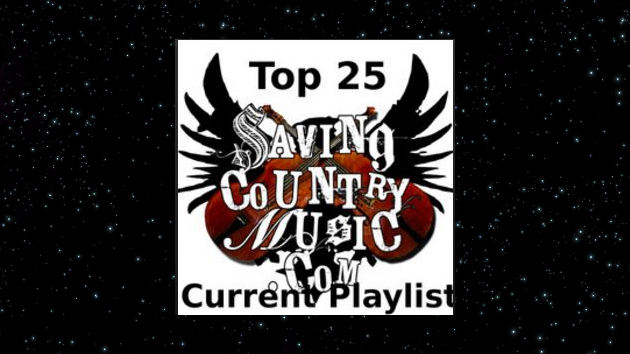 The Saving Country Music Top 25 Playlist primarily lives on Spotify, but is also available for those who use Google Play, and now on Apple Music thanks to Country Exclusive. For those who don’t stream, you can still find the song recommendations in list form below. Yellow Feather is going to blow up in short order. Their debut record is flat out amazing. But i have a playlist too. Maybe some readers will find a new (or forgotten) artist or song you like. Where the hell is Cody jinks at?! Asked myself the same thing. This is the Top 25 CURRENT playlist. Cody Jinks hasn’t released a new record in over 1 1/2 years. Cody Jinks was featured on the playlist previously. When he releases new music, it’s very likely he will be featured here in the future. The music world does not always have to revolve around Cody Jinks. I appreciate the passion of his fans, and he’s received incredible ink here over the last few years, but just because Cody Jinks isn’t mentioned in something doesn’t mean it’s an insult to him. In a few months when he releases his new record, people will be leaving comments about how all Saving Country Music does is talk about Cody Jinks, just like they’ve done with Stapleton, Isbell, and Sturgill in the past. It behooves Cody to be out of the spotlight right before a new release to build anticipation. He did just RE-release Lee Wise with some alt takes, but I hear what your saying Trigger, looking forward to the new album, but what about Mickey Lamantia his take in “when i get in a roll” is great! Please Tell me that You just haven’t got to the new Eleven Hundred Springs album yet. Because I figured you would be all over that. Its that ultra traditional stuff like Mike and the Moonpies that you love. They are a bit corny but no cornier than “Good People” by Josh Grider which is just average in my opinion. Some of the better cuts on the album are “Lyin’ Next To Me”, “Hard to Believe”, and “The Art Of Losing” are all good songs. Eleven Hundred Springs, Dilly Dilly! Lucas Nelson sounds like Bobby goldsburo. I’m loving Yellow Feather. Why isn’t this band getting more buzz? He did just RE-release Less Wise with some alt takes, but I hear what your saying Trigger, looking forward to the new album, but what about Mickey Lamantia his take in “when i get in a roll” is great! And I covered the re-release with an album review. Not everything is ideal for an album review, just like not everything is ideal for a playlist. So you try to take advantage of different avenues to try and get music to people in the best manner. I have a feeling that Cody is going to have a very big 2018.